A special publication charting a regional press photographer’s 25-year career has been produced by a weekly newspaper. The images found inside span a quarter of a century of news photography across south Somerset, north and west Dorset. It is released tomorrow at £1.20 for a limited period of four weeks, and coincides with an exhibition of Len’s work in Yeovil. 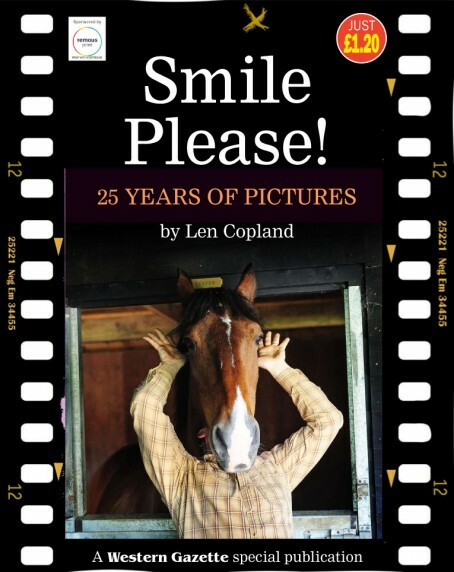 Said Len: “The exhibition and publication provide a unique opportunity to collate images depicting events big and small that make up the day to day lives of the amazing people who reside in Somerset and Dorset. “From the obvious happenings such as royal visits and FA Cup upsets to cheque presentations and golden weddings, I’ve captured them all. “I believe I’ve contributed to more than 1,300 editions of the paper and been to more charity functions than anyone else alive. Well done Len. You’re a great snapper, and in these times when newspapers are discarding photographers as an unwanted and unnecessary expense, it is good to see the Western Gazette acknowledge what a tremendous job you do for them. A perfect example of how good photographers can have a positive effect on local newspapers and why we should keep them!